time to listen to my concerns and deal with them professionally. The Hungarian Forint (HUF) is loosely tied to the Euro, so it moves within a band of 8% fluctuation from the middle rate of 250 Forint to a Euro. 230 is strong and 270 is weak. 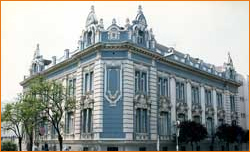 You can visit the Hungarian National Bank (in English) to see the current exchange rate or you can use the XE Universal Currency Converter. You are better off bringing Euro or British Pounds to Hungary or drawing Forint from an ATM than trying to get your hands on Forint in a local bank. There are many exchange booths around Budapest where you can exchange money without a fee. Hungary is landlocked, so it typically has quite hot summers with temperatures going up to 40°C and quite cold winters with temperatures down to -15°C. 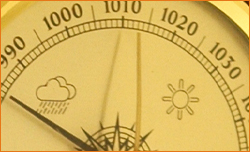 If you want to know more about the weather in Budapest, then you can find the current temperatures and a 7-day forecast on Meteo21. 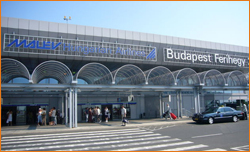 The airport in Budapest is called Ferihegy and has two terminals. The old airport building (Ferihegy 1) is primarily used by budget airlines while the larger and modern, Ferihegy 2 is used by regular airlines. Ferihegy 2A is almost exclusively used by Málev Hungarian Airlines while other carriers fly to and from Terminal 2B. You can see departures and arrivals on the airport website. Utcakereső is a simple and easy-to-use map service that is also available in English.